Oklahoma City-based Novad Management Consulting is the newest loan servicing contractor for Home Equity Conversion Mortgages (HECM), among other single-family Federal Housing Administration (FHA) loans, as of the end of September. Effective September 29, Novad is responsible for servicing FHA single-family Secretary-Held Assets, including assigned HECMs, HECM Subordinate Mortgages, Secretary-held Title II Mortgages and Partial Claim Subordinate Mortgages, the Department of Housing and Urban Development stated in Mortgagee Letter 2014-19. 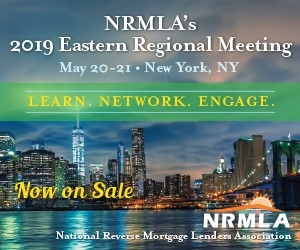 The company will also be responsible for servicing loans under several FHA subordinate mortgage programs, including those in Section 235, the Nehemiah program, Emergency Homeowners Loan Program, Asset Control Area Mortgages, Hope for Homeowners and Good Neighbor Next Door programs. With ML 2014-19, Novad Management Consulting replaces previous mortgage servicing contractor Deval, LLC, a Texas-based company that was named in this capacity by HUD back in April 2012. In its Mortgagee Letter to all HUD-approved mortgagees, field offices homeownership centers and housing counseling agencies, HUD directs all required documentation, correspondence, phone calls and servicing for these loan types to Novad’s Oklahoma City headquarters at Shepherd Mall, 2401 NW 23rd Street, Suite 1A.